We all know how it can be frustrating, especially for beginners to put air in bike tires with the use of a pump. 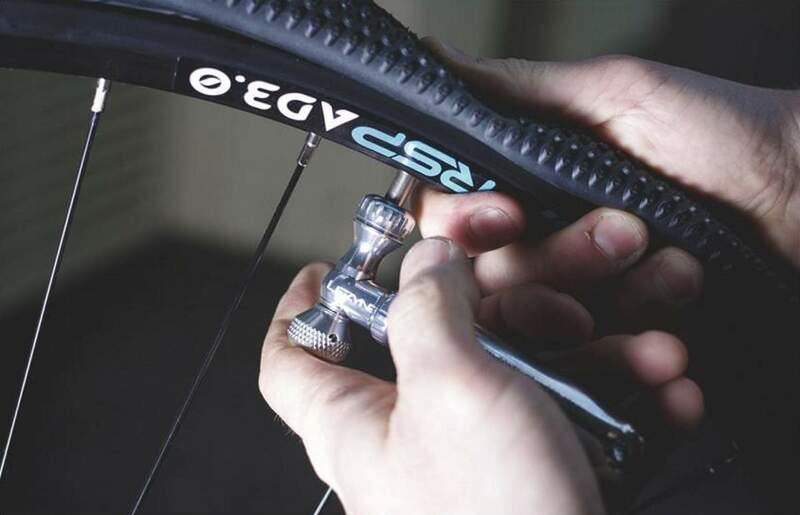 I am quite glad to let you know that you don’t need a pump to inflate your bike tires, with these simple tips and ideas. I put this topic together to ensure that you choose the right tools, and also identify the type of valve necessary to inflate your bike tires without the need of using a pump. For your information, I have tried this technique with different tube inflators and valves, and I achieved the best possible results. You can achieve an inflated tire without a pump by following these simple steps. What do You Need to Follow This Tutorial? When it comes to how to put air in bike tires without a pump, you must not have jumped into executing the steps without measuring the pressure of the tires before and after they are inflated. Make use of the barometer to measure the pressure inside each tire, and you must be aware of the tire pressure you hope to achieve after this exercise. You can watch the video below to understand how to measure the pressure of bike tires. How much air pressure do I put? Following the tire recommendations is always a good Idea, but the range is very wide. Anywhere from 40- 65 psi to 80 to 125 psi for road bikes. The maximum recommended psi is not for everybody. Find out why. To remove the cap of the air inflator, simply turn the cap in a counter-clockwise motion with your hand and it will be easier to remove the cap. Gently tip the other end of the inflator in an upward position in order to retrieve the CO2 cartridge alongside the inflator fitting from within the inflator tube. Gently insert the CO2 Cartridge neck inside the open part of the inflator fitting and then grip the fitting with your left hand, while using the other hand to push the cartridge inside. Turn the fitting in a clockwise direction until you hear the sound of compressed airflow. Hold your CO2 cartridge in one place and then inflate the bike tire for few seconds at a time. It is important that you inflate your tire for a few seconds at a time so that you don’t inflate it too much. Make sure you turn the CO2 cartridge in a counterclockwise motion until the airflow has stopped. To check the tire inflation level, simply squeeze the tire gently with your left hand. If the air within is insufficient, Just turn the cartridge in a clockwise motion for few seconds once again to add extra air. At this point, you may want to check the pressure once again with the barometer or wait until the final step. You may want to repeat steps 1 to 4 with the other tire, just in case you want to inflate the two tires at a go. Once the tire has been filled, simply unscrew the cartridge from the fitting of the inflator, before unscrewing the fitting from the valve stem. Replace your CO2 cartridge alongside the fitting into the inflator tube. Make sure you also replace the valve cap on top of the valve system. Changing a flat tyre out on the road can be a pain in the neck, but it’s something that every rider will have to do at some stage. While it’s advisable to carry a hand pump with you in case of a flat, for many riders the size and awkward shape is prohibitive, leading many riders to opt for CO2 cartridge instead. You need to keep in mind that Carbon dioxide can dissipate quickly, for this reason, you need to inflate the air in your bicycle quite often but not after measuring the total pressure in the tire. Keep in mind that tube inflators alongside control valves can actually make tire inflation and tube replacements a whole lot easier. Secondly, you need to ensure that you replace any damaged tube before using a tire inflator – This will certainly help reduce the risk of getting a flat tire within a short period of time. I hope you have enjoyed this piece of simplified tutorial and you are ready to take on the challenge of filling your bike tire with air without using a pump. As the author of this piece of a tutorial, these steps are quite important to me because I don’t normally have access to air pump always. Several times I have traveled on my bike and forgot to take an air pump with me but this little CO2 inflator has been very helpful and I believe you should have one also. If you have enjoyed reading this tutorial, I will like to encourage you to share it and you might as well leave a comment in the comment section down below. I’m Ashley Casey, travel writer by profession and lover of world cultures, food, oceans, languages, souls, wild spaces and urban places by nature.